They were sent to investigate the first extraterrestrial signal. What they found was beyond anything they could have imagined - or feared. On a voyage to a mysterious moon in the Alpha Centauri system, the UEA Centaurus meets with disaster. Only the quick thinking of the flight engineer, Rachel Terman, saves some of the crew. Crash-landing on the moon, trillions of kilometers from Earth, they struggle to carry out their mission and try to survive. But nothing has prepared them for what they will face. False readings on sensors. Bizarre nightmares. Crew members vanishing. Then, Rachel discovers a blue, glassy lake. If the signal abides - will humankind fall? Signal is the latest gripping science-fiction thriller from rising star Tony Peak. 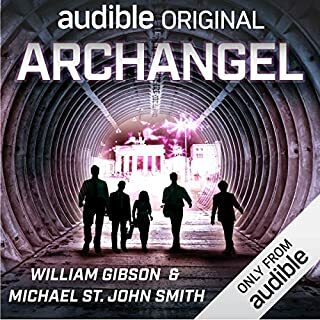 ©2018 Tony Peak (P)2018 Audible Originals, LLC. Exciting, relevant, and probably the best sci-fi I've (read? heard?) 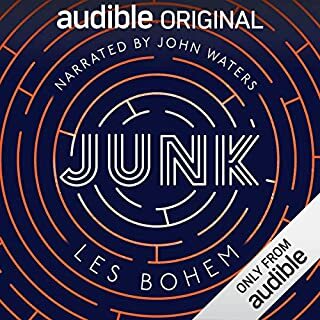 consumed since the Southern Reach series. 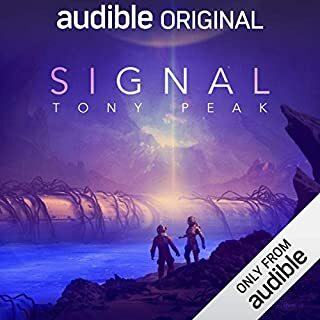 There are shades of "Contact" and touches of "The Expanse" dotting the broad strokes of Tony's unique techno-operatic storytelling style with smart, strong women characters, a mystery to be solved, and littered progressive nods to today's world that resonate. The reader attempts to change her voice for every character. She does an awful job with the male characters. She does an even worse job with the fake accents. Just read the book to me. The story is good enough to stand on its own. The switching of voices is distracting. If you really feel the need to switch voices, then hire multiple voice actors. A little hard to follow initially but the scary and strange events create an atmospheric story worth the listen! Interesting concept marred by unlikeable and unrealistic characters. 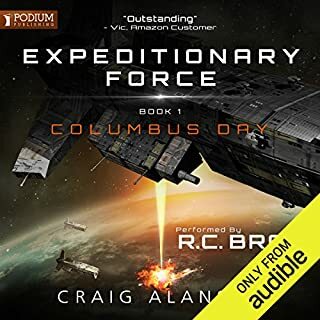 Implausibly, the behaviors of these vetted “highly trained” and “very intelligent” astronauts almost instantly devolve into childish tantrums and rash decision-making in dire circumstances involving a first contact scenario. Plus, the background storyline of institutionalized racism against the primary protagonist, a Martian, seems forced. Rather than becoming a sympathetic character who must travail against overwhelming prejudice, she’s the worst and the whiniest of the lot. Compounding all this badness is a narrator whose quavery voice makes the female characters constantly sound weepy or histrionic and whose four foreign accents (ostensibly Pakistani, Russian, Norwegian, and some indeterminate North African country) are barely comprehensible and virtually indistinguishable from one another. Save your credit and skip this one. difficult listen due to foreign accents. The story was fair, but was ruined by characters that are overly difficult to understand. in real life conversation you have visual cues that help overcome difficulty understanding someone with a heavy accent, or you can ask them to repeat themselves. 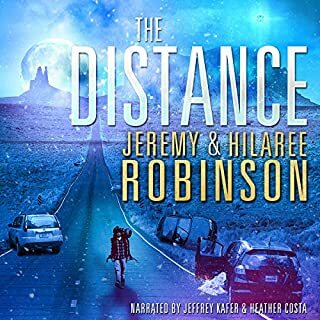 You have neither of those in an audiobook and it was a mistake for this narrator to try to emulate foreigners as I was unable to understand a significant amount of the book. The characters all seem socially inept (who picked these for a crew going to a distant star? ), None of them get along, well except for those in gay relationships. oh, and they curse throughout. I did not enjoy this book at all. Too bad not fully dramatized only small parts here and there also too bad the narratief is very poor. I was surprised to find this was more a story about a homosexual set of astronauts than a science fiction novel. The voice acting was good. Story ok. I don't really recommend. Didn't care for this one much at all. Poorly thought out and lacking in just about everything I look for in a story. Read my complete thoughts at Elitist Book Reviews. 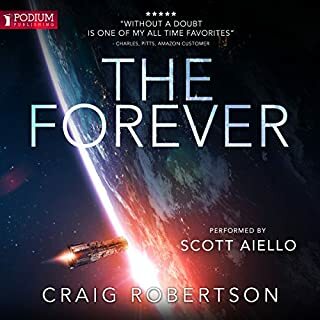 The story had a good start but the author(s) seemed to forget it was a science fiction story and it became a mellow-drama fit for the small screen. With the focus being on the interplay between the characters. And it finished up quickly as if they ran out of budget and didn't have time to tie up the loose ends nicely. The actors did a passable job of playing their characters but the behavior of the characters was bizarre and unbelievable given their circumstances. The narrators extensive use of foreign accents is heavy handed and makes the audio difficult to understand. The story itself is adequate but is largely oriented towards the mindset of the participants - a light weight Dostoyevsky, if you will. Not a fan of the radio play format. Story was quite slow and didn’t really offer anything new.